IMP Awards has six new character banners for Drive starring Ryan Gosling and Carey Mulligan. It features Carey in one of them, which you can see above as the banner used here (as well as view a larger version below). Drive opens in U.S. theaters (and in wide release) September 16th! A quick news round up of various film news including casting calls, a film synopsis, trailers, release dates, festival news, etc. 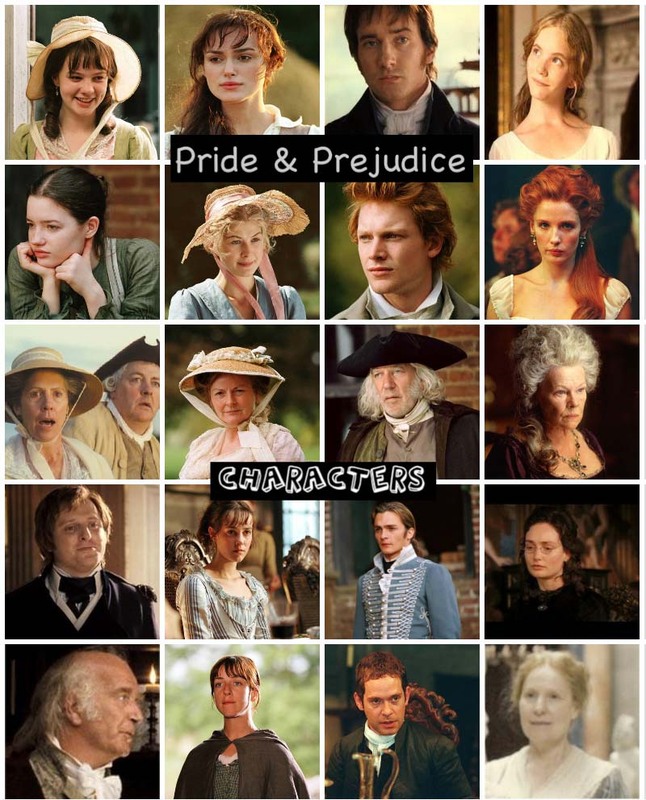 of the following P&P (2005) actors, all in one post! Keira Knightley'sLondon Boulevard film with Colin Farrell gets a limited U.S. theatrical releaseNovember 11th (via The Playlist). TheIFC Films calendar which reveals that screenwriter William Monahan‘s directorial debut “London Boulevard” starring Colin Farrell, Keira Knightley, Ray Winstone, David Thewlis, Eddie Marsan, Anna Friel and Stephen Graham will hit theaters (probably in limited release) on November 11th. Check out and read this article from the UK's The Guardian, The film that changed my life: Matthew MacfadyenandNew Intenational Poster For 'The Three Musketeers' and Another 'Three Musketeers' Poster! Here are a (long) list of my favorite websites/blogs/misc site/tumblr links I love to visit to (whenever I get a chance or have the time to relax, browse, and just read other wonderful websites and blogs on the web). I recommend you check them out, if you haven't already done so (and they are of interest to you). Enjoy and have fun browsing! Tons of production stills ofKeira Knightley's new film, A Dangerous Method (with Michael Fassbender and Viggo Mortensen and directed by David Cronenberg) has surfaced the web and featured Keira in a lot of them, which you can see some of them below. Some of them looked to be spoilerish too (but not quite really...if you're not easily spoiled like me, lol), so don't look if you don't want to be spoiled! You have been forewarned, just so you know, lol. Also, I previously posted A French poster for 'A Dangerous Method'(via IMP Awards), a slightly different poster from the previous Italian version posted here. A Dangerous Methodis set to premiere in Venice Film Fest and hit TIFF and NYFF soon after. It opens in limited release (but will expand to wide release soon after) in U.S. theaters November 23rd! 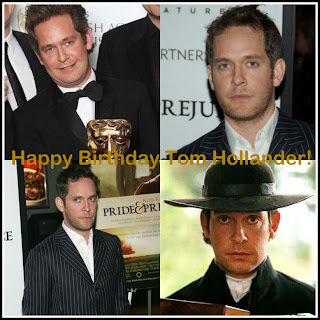 Today (August 25th) is Tom Hollander(aka P&P's Mr. Collins)'s 44th birthday! Rev. (TV series) The Reverend Adam Smallbone Also, DVD News: Joe Wright's 'Hanna' film coming to DVD and Blu-ray September 6th! Keira Knightley's new film, A Dangerous Method (with Michael Fassbender and Viggo Mortensen and directed by David Cronenberg) has another new poster. This time the poster is a French version (see to your left via IMP Awards) and slightly different from the previous Italian version posted here. A Dangerous Methodis set to premiere in Venice Film Fest and hit TIFF and NYFF soon after. It opens in limited release (but will expand to wide release soon after) in U.S. theaters November 23rd! The Behind the Scenes video for Matthew Macfadyen's upcoming The Three Musketeers3D film was just released for German audiences by Trailerseite.de, which you can check it out watch it below! The BTS video include the cast and crew of TT3MD filming scenes from the film and Matthew was shown practicing on his fencing technique amongst other things. It also contains SPOILERS within (though it doesn't give away much, really...), so if you would rather not be spoiled...then, don't watch it! Theofficial websitefortheupcomingWorking Title Films' (Atonement and Pride & Prejudice) Johnny English Reborn starring Rowan Atkinson, Rosamund Pike, Dominic West, and Gillian Anderson has officially launched with lots of new contents such as an international trailer (see RP's character image on this section!) for JER, photo gallery, about the film, spy academy, and downloads that features mobile apps, buddy icons, and wallpapers (which includes a beautiful wallpaper of Rosamund Pike that you can download in different sizes...see it in the header on this post or scroll down to see one of the larger versions of it below!). 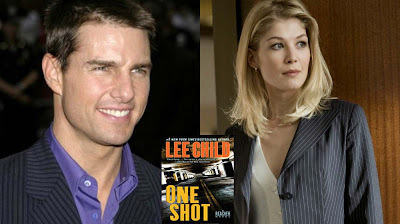 Casting News Update: Rosamund Pike gets her 'One Shot' lead role opposite Tom Cruise! “I think that's a great piece of casting, but then, I wouldn't expect anything less from (writer-director Chris) McQuarrie," Child told PopcornBiz via email. Great news!Rosamund Pike landed the female lead role opposite Tom Cruise in One Shot! As I previously posted here, Rosamund Pike was reportedly testing/reading to get the female lead role along with Hayley Atwell (Captain America) and Alexa Davalos (Clash of the Titans)for Tom Cruise'sOne Shotthis past weekend. And looks like Miss Pike won the part! (The Hollywood Reporter has confirmed!) According toDeadline, Rosamund is now in negotiations to play the lead role. Congrats to RP!!! Two more character posters including Colin Firth in coded treatment (which co-star Gary Oldman has already gotten with the previous character poster, which you can view to your left via Empire. has just been released from Tinker, Tailor, Soldier, Spy film starring an ensemble cast that include recent Oscar winner Firth, Gary Oldman, Tom Hardy, John Hurt, Toby Jones, Mark Strong, Benedict Cumberbatch, and Ciaran Hinds. 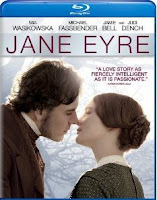 Available now on DVD, Blu-ray, and digital downloads isFocus Features' (Pride & Prejudice and Atonement)' latest film adaptation of Charlotte Bronte's Jane Eyre starring Mia Wasikowska, Michael Fassbender, Jamie Bell, Judi Dench (Pride & Prejudice's Lady Catherine), Sally Hawkins, (2007 Persuasion' Anne Elliot), andTamzin Merchant (Pride & Prejudice's Georgiana Darcy). DVD Extras will include an audio commentary with director Cary Fukunaga, deleted scenes, and 3 featurettes ("A Look Inside Jane Eyre", "To Score Jane Eyre - Cary Fukunaga and Dario Marianelli Team Up", "The Mysterious Light of Jane Eyre"). The Blu-ray release will also include additional BD-Live features. Go get your copy today! Buy it, rent it, Netflix it, or order either the DVD or Blu-ray versions of this film at Amazon.com. 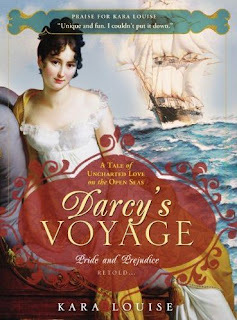 Darcy's Voyage by Kara Louise is a an absolute must have P&P novel. If you don't have it, you need it!!! In Darcy's Voyage, Darcy and Elizabeth first meet years before the assembly ball in Hertfordshire, when they happen to be sharing the same carriage. They fall instantly in love with each other, but they never see each other again till years later, when they're both traveling to America on Darcy's ship, Pemberley's Promise. Too bad they don't recognize each other! The two soon become very good friends. 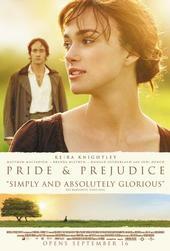 But when Elizabeth falls ill, Darcy is forced to take very improper action in order to save her. They soon fall deeply and ardently in love, but will their love survive the conventions of polite society? Keira Knightley's 'A Dangerous Method' film to get gala premiere at NYFF and a U.S. release date! 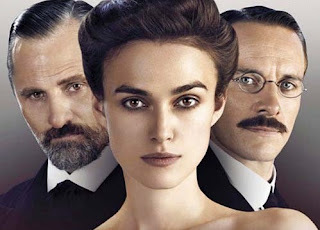 According toVariety, The New York Film Festival has lined upKeira Knightley's new film, A Dangerous Method (with Michael Fassbender and Viggo Mortensen) for a gala screening as part of the upcoming 2011 edition of the fest. NYFF's A Dangerous Methodgala is set for Oct. 5th. The New York Film Festival runs from September 30 – October 16. 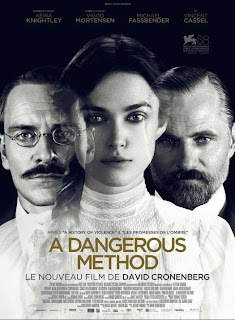 A Dangerous Method will be released in the UK Cinemas on February 10, 2012. But first, it is set to make its festival debut and premiere in both The Venice Film Festival (August 31st-Sept. 10th), which is in competition and Toronto International Film Festival (Sept. 8th-18th), which it'll have its gala North American premiere. Also, there's now a U.S. theatrical release date for this film as Sony Pictures Classicshas set it for November 23rd! Here are a list of some P&P '05 alumni with a new movie starting this Fall through Winter of 2011 (early 2012). Jane Austen Now Has A Daily Online Newspaper! It is a truth universally acknowledged* that Jane Austen now has a daily newspaper! Created by Maria Grazia, The Everything Austen Daily is your online source for news celebrating Jane Austen, one of the most beloved authors in literature. Such is Maria's dedication to Jane Austen that in addition to her newspaper she also has two blogs: My Jane Austen Book Club as well as Fly High! Congratulations Maria on your launch! We hope it is a tremendous success! *quote from Pride and Prejudice, Chapter 1, by Jane Austen. First, we have Rupert Friend, who is set to star in Intandem Films' The Haunted, a blend of psychological thriller with supernatural. Rupert will co-star with Olga Kurylenko(Quantum of Solace) in the lead. No info yet of what role Rupert will play. Based on the synopsis, I'm guessing he could be playing the ghost tormenting Kurylenko's character or another character. Hmm, It would be interesting to see if he was the former, lol. The Haunted is currently in pre-production with 2012 the likely completion date. EW.com has their annual Fall movies we can't wait to see and this year they have 25 films in their must-see list. 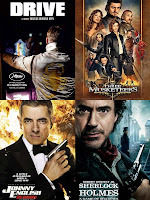 Three of the 25 films (include films from our P&P actors) such as Drive (Carey Mulligan co-stars), J. Edgar (Judi Dench co-stars), and Sherlock Holmes: A Game of Shadows (Kelly Reilly reprises her Mary Morstan role in this sequel). Rupert Friendjust promoted the short film he directed titled Steve (see trailer here!) starring Colin Firth(in the title role), Keira Knightley, andTom Mison on Rhode Island's local news ABC6 last night as it was screened in Rhode Island International Film Festival (one of the many festivals it screened/premiered to since last year). UPDATED 8/18/11: Rupert Friend honored a Crystal Image Award for his work on 'Steve' Congrats RF! Also, check out 2 new Steve stills feat. Keira Knightley here! Rupert chatted about the short film, Oscar Winner Colin Firth, and his desire to do a feature film as a director. The interview also featured a few clips from the short film. 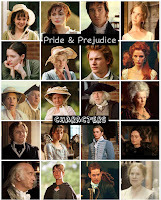 I posted here a year ago about the Principal photography for Pride & Prejudice film started this month six years ago. I thought I'd post here about it (again) this year with morecast interviews, on set, and behind the scenes info and images as it's been 7 years this month since they filmed the movie and shot entirely on location in the beautiful English countryside. 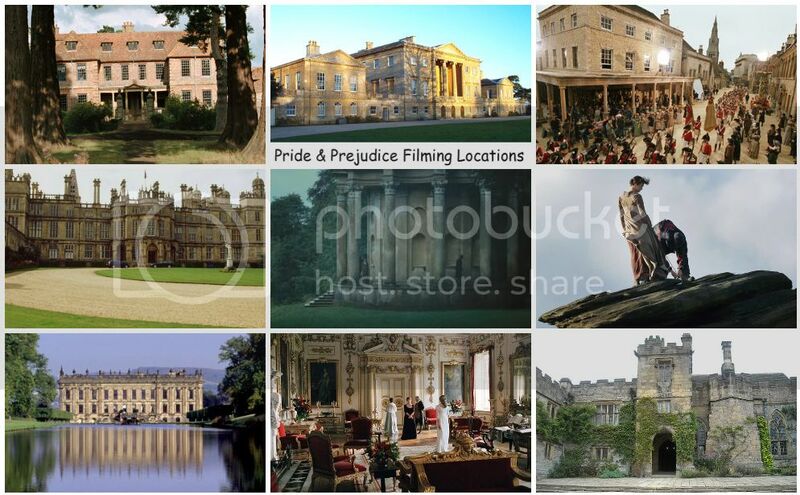 I've been very fortunate to have visited at least two of those wonderful filming locations in Derbyshire (see some of my Photos: Chatsworth House and Haddon Hall as Pride & Prejudice's Pemberley and Inn at Lambton (P&P/Derbyshire filming locations)) almost a year ago (September2010) when I went on My first European trip. The Fan Carpet has a few new images of Matthew Macfadyen (as Athos) in his upcoming The Three Musketeers3D film. Updated 8/10/11:See more Three Musketeers Movie Posters here! Also, the official website for the movie has been updated and officially launched with new contents including a tagline: Born to be Heroes. Trained to be Warriors. Destine to fight Evil. Plus check out and watch"When We Were Young" music video byTake That, the theme song for The Three Musketeers. The Three Musketeers3D opens in wide releaseOctober 21st! A video with theBehind The Scenes: A First LookintoRenee - The Moviestarring Kat Dennings (in the title role), Chad Michael Murray and Rupert Friend (as producer David McKenna) has just been released this past Thursday. It shows the cast filming, behind the scenes of the film, and on set interviews with the cast and crew including Rupert Friend. “The Renee Project” (working title), was filmed entirely on location in Orlando, Florida. The indie drama isbased on the true story of Renee Yohe, whose battle with drugs, depression, addiction and cutting led to the creation of the charity group To Write Love On Her Arms. Casting Update: Joe Wright's ‘Anna Karenina’ Cast is now Confirmed! 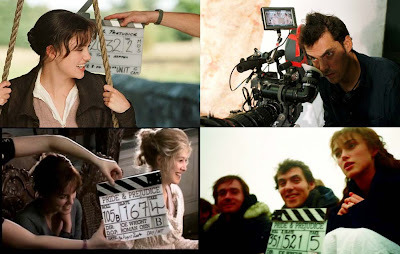 Working Title Films(Pride & Prejudice, Atonement) has recently posted in their websiteconfirming the principal cast for director Joe Wright's upcoming film (currently in pre-production), Anna Karenina starring Keira Knightley, who is reuniting with her former P&P co-starMatthew Macfadyen, which interestingly, they will be playing brother and sister in this film adaptation. 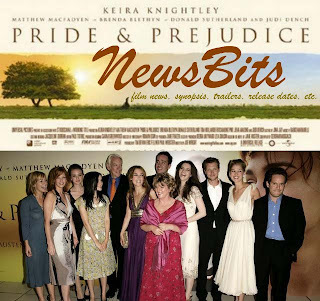 Knightley and Macfadyen previously worked together (as Elizabeth Bennet and Mr. Darcy) with Wright, who directed them in his very first feature film, Pride & Prejudice, which was released back in 2005 to critical acclaimed (and a worldwide Box office gross of $121+ million) earning Knightley and the P&P film 4 Oscar Nominations (including Best Actress for Miss Knightley), 2 Golden Globe (including Best Actress for KK as well), and 6 BAFTA nominations (including a Carl Foreman Award for the Most Promising Newcomer award for JW). Keira Knightley's new film, A Dangerous Method (with Michael Fassbender and Viggo Mortensen) gets its first poster! 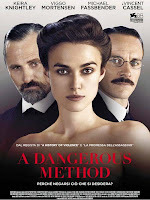 A Dangerous Method is set to be released in the UK on February 10, 2012. But first, it is set to make its festival debut and premiere in both The Venice Film Festival (August 31st-Sept. 10th), which is in competition and Toronto International Film Festival (Sept. 8th-18th), which it'll have its gala North American premiere.No, U.S. theatrical release date yet. ITV has renewed the detective drama seriesVerastarring Brenda Blethyn as DCI Vera Stanhope and David Leon as DS Joe Ashworth for a second season. International award-winning actress Brenda Blethyn OBE stars in Vera, a new detective drama series adapted from the Vera Stanhope novels by revered novelist Ann Cleeves. Inspector Stanhope is obsessive about her work and driven by her own demons. If she’s lonely she doesn’t show it and faces the world with caustic wit, guile and courage. Her trusted and long-suffering colleague is Joe Ashworth; he is her right-hand man and surrogate son. Together they approach every new case with unparalleled gusto and professionalism. Talulah Rileyhas join the cast of White Frog, a new indie film, according to its official website. No info. yet on what her character/role will be in the film, but filming has already started. British actress and model, Talulah Riley, has officially been cast in White Frog. Rosamund Pike just attended her former An Education co-star Dominic Cooper's UK Premiere of his new film, The Devil's Double at Vue West End on August 1, 2011 in London, England. Rosamund Pike has two new comedy films coming up in the next two months. Apparently, in the same month now! Johnny English Reborn (with Rowan Atkinson, Dominic West, and Gillian Anderson), which will be released in wide U.S. theater releaseSept. 16th in its new release date of October 28th (via Box Office Mojo as Universal moved it from Sept. 16th to Oct. 28th) (and in the UK Cinemas October 7th) and The Big Year (with Owen Wilson, Jack Black, and Steve Martin to name a few of the many names on the big ensemble cast) still set to be in wide U.S. theater releaseOctober 14th! Check out some new photos of Miss Pike below!